All For Paws (“us”, “we”, or “our”) operates https://www.allforpaws.com.au (the “Site”). This page informs you of our policies regarding the collection, use and disclosure of Personal Information we receive from users of the Site. 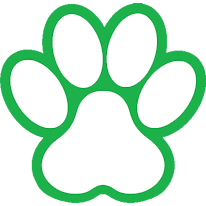 All For Paws will disclose your Personal Information where required to do so by law or if we believe that such action is necessary to comply with the law and the reasonable requests of law enforcement or to protect the security or integrity of our Site. The security of your Personal Information is important to us, and All For Paws will take all reasonable steps to secure all recorded information. However no method of transmission over the Internet, or method of electronic storage, is 100% secure. While we strive to use commercially acceptable means to protect your Personal Information, we cannot guarantee its absolute security and we will not be held responsible for events arising from unauthorised access to personal information beyond our reasonable control. All For Paws has no control over, and assumes no responsibility for, the content, privacy policies, or practices of any third party sites or services. Our Site does not address anyone under the age of 18 (“Child”, “Children”). We do not knowingly collect personally identifiable information from Children under 18. If you are a parent or guardian and are aware that your Child has provided us with Personal Information, please contact us. If we discover that a Child has provided us with Personal Information, we will delete such information from our servers immediately. Log Data does not contain any Personal Information. Log Data may include information such as your computer’s Internet Protocol (“IP”) address, browser type, browser version, the pages of our Site that you visit, the time and date of your visit, the time spent on those pages and other statistics. Cookies are small text files which may include an anonymous unique identifier. Cookies are sent to your browser from a web site and stored on your computer’s hard drive.